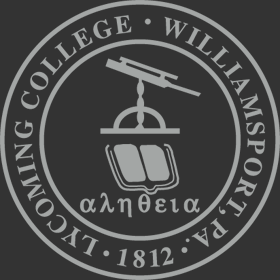 In this senior leadership position within the Division of Student Life, Kate partners with college faculty and staff to create and maintain a residential environment that strongly integrates with the liberal arts mission of Lycoming College. As associate dean of students, Kate supervises the departments of Residential Life and Safety and Security. In addition, she has direct responsibility for campus conduct (including Title IX and VAWA) and planning and assessment for the Division of Student Life. Her role also includes working with other campus departments to provide education and prevention programs to address high risk behaviors i.e., alcohol and sexual misconduct. Students experience developmental and psychological growth as well as difficult situations during their college years. Counseling Services strives to meet students' psychological and developmental needs. Professional counselors provide individual and group counseling, crisis intervention, consultation with students, faculty and staff and outreach programming on psychological, mental health and substance abuse issues. All services are strictly confidential and free of charge to all Lycoming College students. Counseling Services also provides referrals to area mental health providers for those students who wish to meet with someone outside the college or whose needs cannot be met by the college. The commitment of Health Services is to provide health care for minor illnesses and problems to students in a comfortable, relaxed atmosphere. Appropriate referrals are made to area specialists or the college physician. Health education is provided through formal and informal group settings and on an individual basis. Our goal is to increase health awareness, promote healthy lifestyles and to educate students on the use of the health care system. All health care issues are kept confidential. The intramural sports program is designed to provide a well-rounded program of competitive and recreational sports throughout the academic year. Last year more than half of our students participated in one or more of the sports offered. Intramurals include basketball, flag football, ultimate Frisbee, volleyball, softball and water polo. Through participation, individuals can develop and appreciation of the worthy use of leisure time, a wholesome attitude toward physical endeavors and the desire for life-sports. The Residential Life Office is committed to providing a living/learning environment to help students grow as individuals and as students. Through programs, leadership opportunities and peer interactions in the residence halls, students gain a sense of belonging to the campus community, acquire new knowledge and skills, make informed choices and assume responsibility for oneself and others. The Department of Safety and Security operates 24-hours a day seven days a week. The office is responsible for handling all calls for assistance, monitoring fire and security alarms, providing general information, patrolling all campus facilities, enforcement of parking regulations, incident investigation, safety inspection and crime prevention. Officers are trained professionals with experience in a wide variety of security operations. Up-to-date crime statistics can be found on the Safety and Security web page. The Office of Civic Engagement and Personal Development provides a wide range of civic, spiritual, and service related opportunities to facilitate personal growth and development. Through collaboration with academic, faith-based, and community partners, students are provided with quality service experiences that challenge students to reflect upon the importance of their contribution, and the greater impact it has on the local, national, and global communities. Additionally, the office provides Alternative Spring Break and summer service experiences that create immersive leadership opportunities to further develop students’ civic responsibility and engagement. The Office of Student Involvement strives to support the academic mission of Lycoming College by providing a variety of social, cultural, recreational and educational programs for the campus community. While this office's primary function is to advise and provide resources for the college's recognized student organizations, the staff also works to prepare a variety of annual events including the Campus Carnival, Homecoming, Family Weekend, Thanksgiving Dinner, Siblings Weekend, Concerts, etc. The office provides direct support to the Campus Activities Board, all Greek organizations, class officers and the Arrow yearbook.